This words of wisdom talks about grace. 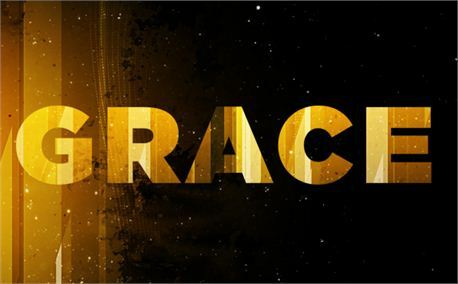 Grace is the fundamental activity of the bible: it is God’s love in action. People have attempted to define it in various ways, two of the most memorable being ‘God’s unmerited favour’, and ‘G-R-A-C-E - God’s Riches At Christ’s Expense’. Whatever definition you prefer, at the heart of grace is (1) our inability to earns God’s favour, and (2) God’s free gift of salvation, which does not depend on anything we have done, but on Christ alone. The more we think about this, the more amazing it becomes. We could never earn God’s salvation, not matter how devout or pious we are. But we don’t need to! It has been won for us, and now it has been given to us, freely and lavishly. And the result is that we want to serve Him with all that we have, and worship him wholeheartedly.